WikiLeaks published details of an email exchange which has the name of the man Turkish police suspect was involved in the alleged killing of Khashoggi inside the Saudi Arabian embassy in Istanbul. Maher Abdulaziz Mutreb, the man identified by WikiLeaks in its latest release, was trained in how to use Hacking Team spy software in 2011. “His sending contact ‘albwardy’ made many hacking requests on behalf of Saudi,” WikiLeaks said. The mail released by WikiLeaks was sent to one Marco Bettini on 26 January 2011. The other names besides Mutreb’s in the list were those of Waleed A Alsofayan, Waleed M Albwardi, Nasser A Asiri, Basem A Ghandoura, and Mazen R Alharthi. Sent by a person called Waleed, the mail requested ‘Marco’ to certify the names in the list for eight weeks starting 3 January 2011. The New York Times, citing a British diplomatic roster, reported that Mutreb was a diplomat assigned to the Saudi Embassy in London in 2007. He was reportedly close to Crown Prince Mohammed bin Salman and may have acted as his bodyguard. The report says that Mutreb stood guard next to the crown prince during his visits this year to Spain, France and the US. 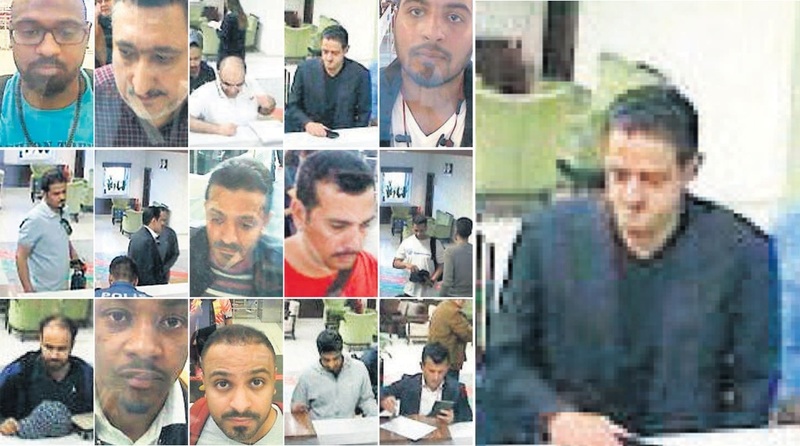 Besides Mutreb, three others named as suspects by Turkey were linked by witnesses and other records to the Saudi crown prince’s security detail. A forensic doctor, who is also a suspect, is in a senior position in the Saudi Interior Ministry and medical establishment. According to NYT, all these details connect Mohammed bin Salman to the disappearance and alleged killing of Khashoggi, who was particularly critical of the crown prince and his policies. Meanwhile, Middle East Eye reported that it took the assailants only seven minutes to kill Khashoggi. Citing a Turkish source, the MEE said that the journalist’s last moments were recorded. Khashoggi was dragged from the Consul General’s office at the Saudi consulate in Istanbul, placed onto the table of his study and cut down to pieces. Salah Muhammad al-Tubaigy, the forensic doctor named by Turkish authorities, dismembered Khashoggi after administering an unknown drug. MEE reports that a three-minute version of the audio tape has been given to Turkish newspaper Sabah, but they have yet to release it. On the other hand, UN High Commissioner for Human Rights Michelle Bachelet on Tuesday urged the Governments of Saudi Arabia and Turkey to “reveal everything they know” about the disappearance and a possible extra-judicial killing of the prominent journalist. Bachelet urged the authorities of both the countries “to ensure that no further obstacles are placed in the way of a prompt, thorough, effective, impartial and transparent investigation”. Bachelet said the diplomatic immunity of officials must be “waived immediately” to ensure a prompt and transparent probe. Speaking to journalists in Geneva amid news reports that details of Khashoggi’s death may surface soon, indicating that it was an accident, UN human rights office (OHCHR) spokesperson Rupert Colville said potentially serious crimes had been committed and the perpetrators should be held accountable. “The one thing we really know as a solid fact is that Khashoggi went into the consulate and he was never seen coming out again,” Colville said, adding that it seemed “very probable” that some crime had been committed. “Enforced disappearance or murder, if that has occurred, extra-judicial killing, either way, those are very serious crimes,” he added. “We all need to know what it was, how it happened and who was responsible and where the evidence leads”. US President Donald Trump, meanwhile, appeared to back Salman stating in a tweet what the crown prince told him. “Just spoke with the Crown Prince of Saudi Arabia who totally denied any knowledge of what took place in their Turkish Consulate. He was with Secretary of State Mike Pompeo during the call, and told me that he has already started, and will rapidly expand, a full and complete investigation into this matter. Answers will be forthcoming shortly,” he wrote. Khashoggi, former general manager of the Al Arab Media Group and columnist for the Washington Post, disappeared on October 2 after entering the Saudi consulate in Istanbul, where he has been living in exile since 2017. The Saudi consulate subsequently issued a statement saying that the journalist had left its premises on October 2, although the Turkish government, which summoned the Saudi ambassador in Istanbul demanding explanations on the whereabouts of Khashoggi, said he remained inside the consular precinct. Oman, Bahrain, Jordan, Palestine, Lebanon, the United Arab Emirates and Egypt all put out government statements on Sunday saying they express solidarity with Saudi Arabia.